Lidcolour:Silver Grey. DVD/CD Rom-Drive: TSSTcorpDVD -RW SN 208BB. Hard Drive:750GB – SeaGate ST9750420AS. I7 2620QM 2.2 - 2.9 Ghz. nVidia Geforce GT525M Graphics. Has an extended life battery so sits with a slight tilt towards the user. Windows 10 reset and all updates done. Microsoft Office 2007 installed. 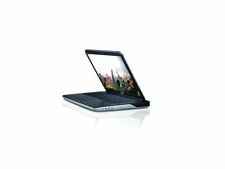 Dell XPS 15-L502X 15.6" Gaming Laptop intel core i5 at 2.40GHz 120GB SSD super fast 8GB RAM nVidia Geforce 525m with 1024MB dedicated graphics chipset and up to 4GB Shared XPS 15 offers a high-resolution screen and excellent JBL speakers shows signs of usual usage expected from a pre owned laptop. (pictures for visual condition) Condition is Used. Dispatched with eBay delivery – Shutl 1 day. As part of the sale you"ll receive CCTV & DVR. Processor Type Core i5 2410M. Hard Drive Size 500GB. Item Weight 3.98 Kg. Processor Speed 2.3 GHz. Hard Drive Interface ATA. Hard Disk Technology HDD. New 9 Cell Battery Fitted. The subwoofer has been replaced with a new one as has the web cam. The keyboard was also replaced for a backlit one. It also has a HSPA Mini card installed to use with full sized sim cards. 500GB SATA 7200 RPM Hard Drive. 4GB (4096MB) 1600 MHz Dual Channel DDR3 SDRAM. Dell Latitude E7440 Laptop @ NDC. 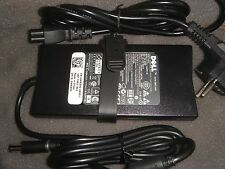 - Original Dell Battery. - Refurbished with 3 Months RTB Warranty. Windows 10 Professional x64 (Upgraded from Win8.1 Pro, Downgrade Available). AFOOD to original DELL PA-3e. Dell Inspiron 1545. DELL Inspiron 6400. DELL Studio 15 series. DELL Studio 17 series. DELL Latitude D620. DELL Latitude D630. DELL Inspiron 9400. Keyboard DELL 09DTC7 / NSK-DX0BQ. Inspiron N411z. Vostro 3350. Vostro 3450. Vostro 3550. Vostro 3555. Vostro V131. Need a QWERTY keyboard?. Dell Inspiron N5010. Dell Inspiron 1545. DELL Inspiron 6400. DELL Inspiron 9400. DELL Inspiron 1564. DELL Inspiron 1501. DELL Latitude D430. DELL Inspiron 8600. Hard Drive: 240GB SSD. RAM: 6 GB ddr3. Graphics Card Ram Size: 1024 MB. Hard Drive Interface: Serial ATA. Optical Drive Type. Model: L502X Optical Drive: DVDRW. Dell L502x Laptop. Have upgraded the hard drive to a Samsung 250gb SSD But other than that the laptop is as I bought it. 250 GB Samsung Evo 850 SSD. Seems to get through basic tasks easily. Running Windows 7 currently. Not working for spares and repairs Chassis and Parts. You are buying a laptop spares and repairs only. Dell Looks fare condition graphics card not working may need a reflow. The Parts list is for reference only sold as seen condition. 100% working, tested and checked. Bastler und Tüftler finden vielleicht einen Weg. Akku enthalten. Also wird hier als DEFEKT ohne Funktion verkauft. Notebook im äußerem gutem Zustand mit Gebrauchsspuren. mit Netzkabel. JBL 2.0 Designed & Certified Speakers Waves MaxxAudio. NVIDIA GT420M/GT435M GeForce. Amazingquality Audio. 56 WHr 6-cell Lithium Ion Primary Battery. Integrated Gigabit ethernet 10/100/1000. Wireless LAN WiFi n.
Wewill be happy to help you with a service advice. IMPORTANT INFORMATION. Dell Inspiron 1545. DELL Inspiron 6400. DELL Studio 15 series. DELL Studio 17 series. DELL Latitude D620. DELL Latitude D630. DELL Inspiron 9400. DELL Latitude D830. Clavier DELL 09DTC7 / NSK-DX0BQ. Inspiron N411z. Vostro 3450. Vostro 3350. Vostro 3550. Vostro 3555. Vostro V131. Besoin d'un clavier AZERTY ?. Dell Inspiron N5010. DELL Inspiron 1564. DELL Latitude D430. Dell Inspiron 1545. DELL Inspiron 6400. DELL Inspiron 9400. DELL Inspiron 1501. DELL Inspiron 8600. This laptop is in great condition however it has a few scratches on the top and bottom of the case and there's a screen protector on the screen that caused a few air bubbles. All can be seen in the photographs.